Cameras Downunder Gallery - Subminiature/11o cameras, make in japan. 11o cameras, make in japan. 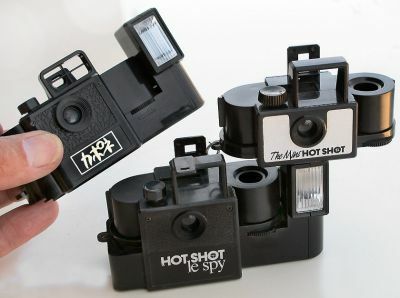 3x 110 cameras, where the film cartridge is the back of the camera, some have build in Flash, other has assessory flash, top Left. (don't know if it is Japanese) rest make in Japan.